For most families, having a car is an absolute necessity. They’re usually quicker and more reliable than public transportation. This makes it easier to get to school, work, and everywhere else in between. And, in turn, ends up massively reducing stress for you and your kids. 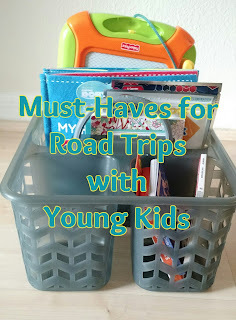 It gives you the chance to go on road trips together (which are often deemed the best type of holiday for families). Unfortunately, as great as family cars can be, they’re not cheap and cost a lot to run each month. Thankfully, there are several ways to cut costs and save some money. No one should be driving dangerously, especially with kids in the car, but if you’re looking to save some money, then you have even more reason to reconsider your driving style. If you tend to speed, accelerate rapidly, and brake hard, you will lower your gas mileage, which means that your fuel won’t go as far as you want it to. These behaviours could also lead to a crash, which can result in some pretty costly repairs. It’s just not worth it, so always ensure you drive safely. When you pick your kids up from school, do you park and turn the engine off or wait with the car turned on? Unless you get out of the vehicle to meet your children at the gates, I would imagine that you leave your engine turned on. Unfortunately, this can waste up to half a gallon of fuel every single hour. This might not seem like much at first, but it quickly builds up. It’s much more fuel efficient to turn your engine off and then drive slowly for a few minutes when you go again. Most families can’t afford to pay for a car outright, and instead put down a deposit and pay in monthly installments. While this is more convenient and budget-friendly, you could end up with a costly deal. Because of this, you should look at your terms and think about applying for a refinance auto loan. This could save you money on your total amount and money each month, as well as lower your interest rate. Just be sure you consider your options before doing this. If you have a teenager that wants to start learning to drive, you should think twice before adding them to your insurance policy. Insurance companies tend to view teenagers as a risk, and, as such, charge higher rates than they do for adults and experienced drivers. This means that adding your child to your policy could result in you paying a lot more each month. Because of this, you might want to send your teen to an instructor instead of teaching them to drive yourself. A family car is a costly, but, often, necessary expense. You can’t avoid paying for it, but that doesn’t mean you have to shell out quite so much cash. With the hacks above, you should be able to cut costs and save yourself a bit of money each month.